the local list: I have a problem. Anyway, I found another hole in the wall place - Kaisen Kaiten. 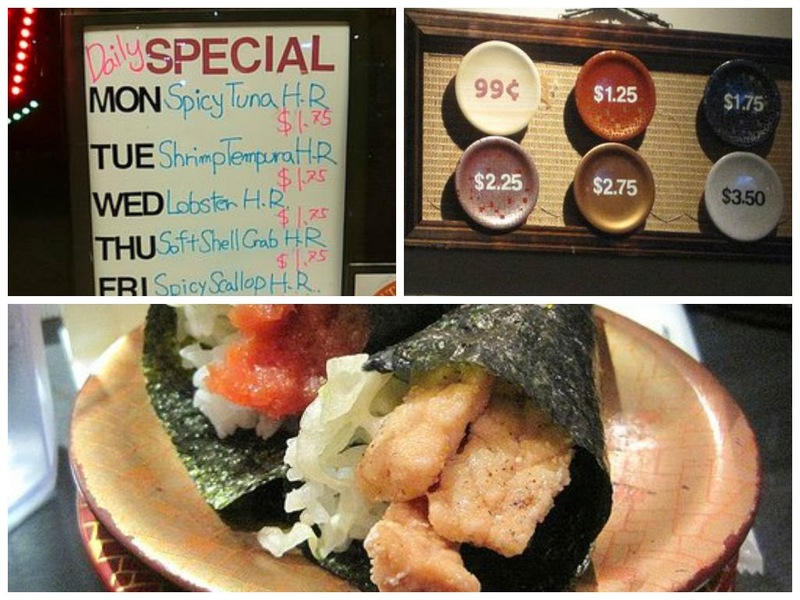 This means decent prices and usually just okay sushi. Wrong, wrong, wrong. This fish is super fresh. And unlike other places I have mentioned, the sushi chefs are actually Japanese. The waitresses have to wear horrible kimonos and the place is technically a revolving sushi place and it smells horrible inside, but believe me when I say its worth it. This place does the "pay by the plate" deal, where they stack your plates at the end to determine what you ate. I don't recommend anything on the revolving sushi. It's gross and its for amateurs. Sorry it's the truth. The real deal is ordering from the menu. I recommend the yellowtail and tuna as always, but the hand rolls are the real specialty. A lot of sushi places have hard, crunchy hand rolls. Here, they do it right. You get out of there for a decent price and they have beer happy hour specials Monday-Friday. Luckily its around the corner from my house...thank you god. Labels: Best of Series, Best Seafood, Costa Mesa, Lunch Time, Time for Happy Hour, What's for Dinner?